Rock n' Roll Hall of Fame Legends! The Hollies are one of the best-loved groups from the 1960's British Rock revolution. 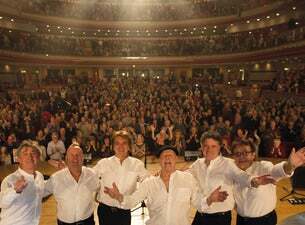 Their soaring distinctive harmonies, brilliantly crafted songs, and sublime musicianship along with a back catalogue of hugely popular hits have ensured the longevity of the band and its music for over 50 years. In the 1960’s The Hollies had more hit singles than The Beatles and, along with The Rolling Stones and The Searchers, they are one of the few British pop groups of the early 1960’s that have never officially broken up and continue to record and perform. Powerhouse drummer Bobby Elliott continues to musically drive the band alongside the masterful guitar playing and unique voice of Tony Hicks into the groups sixth decade. The band has had a strong connection with New Zealand almost from the start, choosing to record their ‘HOLLIES LIVE HITS’ album while on tour here in 1975, eagerly returning since then whenever they can to reacquaint themselves with a country and audiences they enjoy so much. In turn, Kiwi’s love to love them as demonstrated by the sold out concerts on each of their recent tours here with shows featuring top production values and filled with hits sounding like the original recordings, proving each time exactly why The Hollies have survived through the decades and are considered one of the world’s greatest bands.